You’ve done it. You’re nearly there! You can see the finish line. It’s a time full of ‘lasts’, the ‘last’ late night visit to the ASSL, the ‘last’ deadline, the ‘last’ exam. You’ve finished your degree! And that’s when ‘The Fear’ kicks in, that feeling of dread, panic and apprehension for the future. Worry not! The Summer Careers Fair is taking place on Tuesday 6 June, 11:30 – 15:30 in City Hall. Here’s some top reasons why attending the Fair can help you quash some of those common worries and conquer ‘The Fear’ once and for all. Neither do most students! 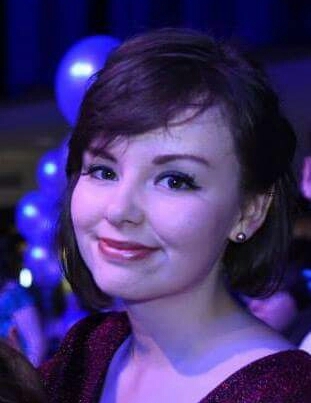 Eleanor, a recent French and Spanish graduate explains more: ‘If you’re not sure what you want to do, you’re in the majority and that’s okay. Try to look for a first job that has a broad set of skills so you are in a strong position for wherever you go in the future’. There’s a wide range of organisations attending the fair, offering a variety of opportunities across all disciplines. You can get your creative juices flowing with PR agency River & Bear, get stylish with Abercrombie & Fitch or consider a career in technology with Net Support UK or Computacenter. You can also find out how to stay local by attending the ‘Graduate Opportunities in Wales’ talk at 12pm. Even if you haven’t set foot in the Student Support Centre since the start of your degree, the Careers and Employability service is available to use up to two years after you graduate. Rather than into the scary world of work alone, the careers advisors will be on hand at the CV Clinic to give you one-to-one advice at the Summer Careers Fair from 11:30 – 15:30. Make sure you also register for the job vacancies board on Careers Account here. 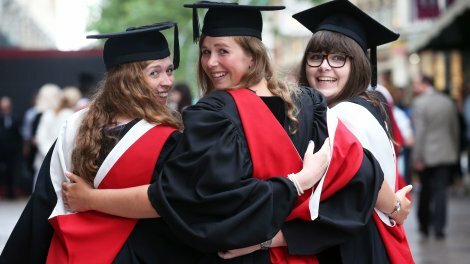 Whilst a lot of the Times Top 100 Graduate Employers will have already closed their applications for the year, bagging an offer from the highly sought-after graduate scheme isn’t the be-all and end-all of the workplace and opportunities. According to High Fliers Research, 50% of graduates go to work for companies with less than 200 employees and 41% for organisations with less than 100 employees. There are over 50 organisations at the Summer Careers Fair, many of whom are large local companies (such as MotoNovo Finance) and SMEs & charities offering opportunities equally as challenging and interesting as many of the mainstream graduate schemes. Be sure to come and check them out. Whilst some students are buzzing to leave the lecture theatre and enter the workplace, you might want to take a different approach. Not everyone follows the same path after university there are plenty of opportunities at the fair to see what else could suit you. For example, working for yourself might have more appeal than working for someone else. The ‘Working For Yourself – Self Employment’ workshop, run by Enterprise & Start-Up will take place at 12:30pm to tell you more. You might also be interested in further study but aren’t sure what to look into. You can chat with the Postgraduate Office, Open University, University of Law, Cardiff Metropolitan University and University of South Wales (and others) to find out more about what courses may be right for you. So there we have it. Don’t let ‘The Fear’ overshadow your graduation, come to the Fair and find out what’s there for you. 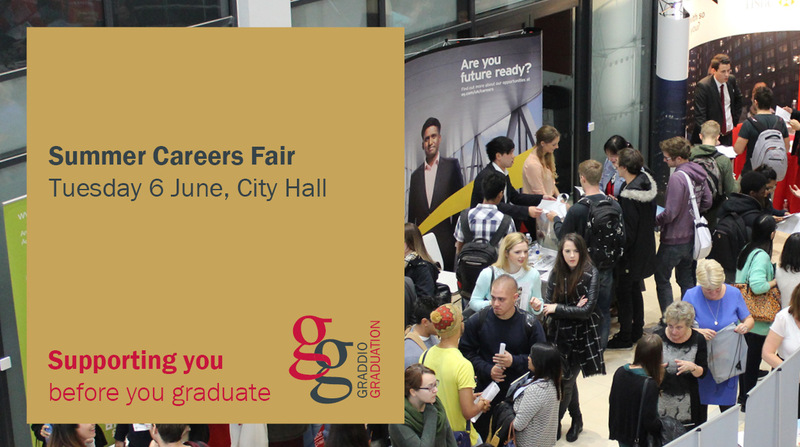 The Summer Careers Fair will be taking place on Tuesday 6 June, from 11:30 – 15:30 in City Hall. Check out what organisations are coming and the full list of talks taking place here.